Having gained the internationally recognised IMA Diploma in the Art of Dressing Hair, Kim can achieve a wide variety of looks, whether it’s 1930s finger waves or a 1960s beehive. 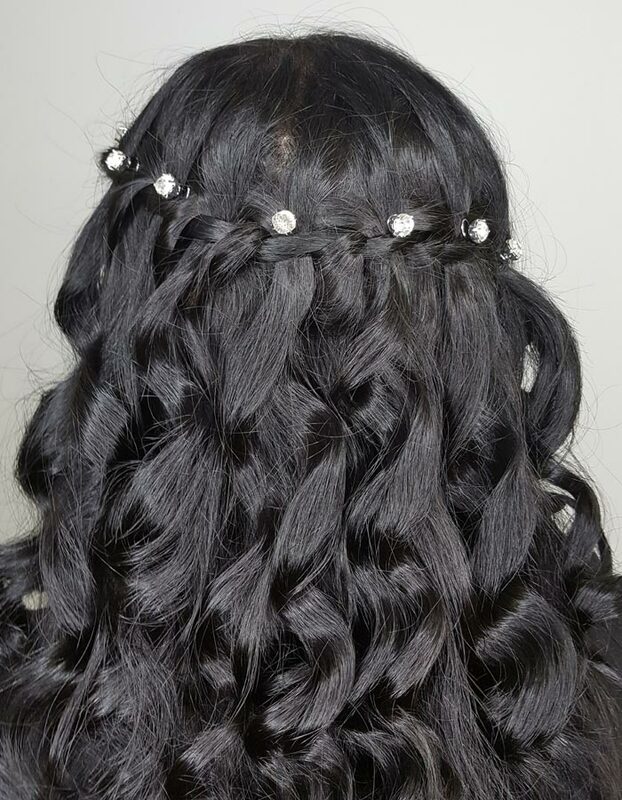 Using a variety of curling tools, from wand to spiral and chopsticks, Kim can create a wide range of looks for any occasion. For brides wanting a classic look, they may choose to have an elegant bun or a classic French pleat. If the look they want to achieve is more bohemian, then they may opt for a fishtail plait or messy side braid. Before the big day, Kim will work closely with the bride to create the perfect hair and makeup look for her Wedding day.